Facebook and Instagram Advertising: A Hands-on Training for Food and Beverage Businesses. 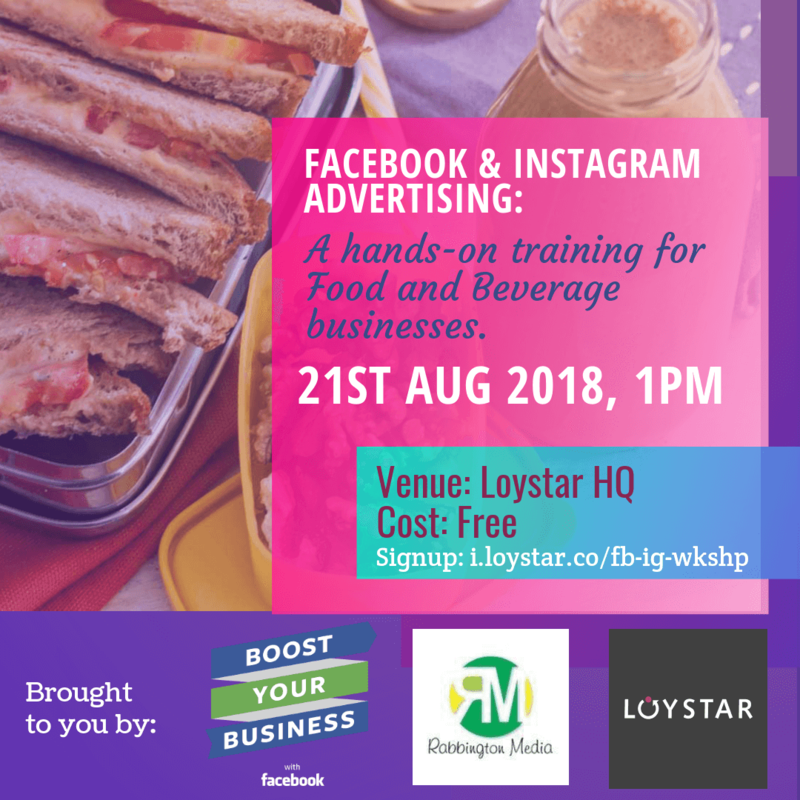 As part of our continuous support towards the success of small businesses, Loystar in partnership with Facebook Boost Your Business and Rabbington Media is organizing this Social Media Advertising workshop tailored specifically for Food and Beverage businesses, enabling them to achieve business success on Facebook, Instagram and in the digital space as a whole. This is our second offline event this year and we are opening this up to 100 participants. We promise a hands-on experience, so come with the tools you need to get practical. E.g Laptop, power packs, Tablet/mobile devices and a notepad to quickly capture major keys. Internet access would be made available but a back-up is good too. Time: 1pm – 4pm prompt. Venue: Loystar HQ, 19b Adeyemi Lawson, Ikoyi, Lagos. Limited capacity at the venue so we can only accommodate the first 100 people to register.